This presentation by four members of the club will be a fun, happy you saw it travel-log. Although it is not teaching on photography, it is meant for pure enjoyment. 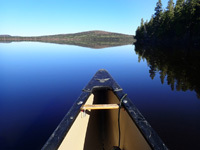 The program starts out with a short 9 minute video taken with a Go-Pro off of John McGrath’s head of the group canoeing down the Allagash River which is in northern Maine near the Canadian Border. The rest of the presentation will be still images with commentary from the group. 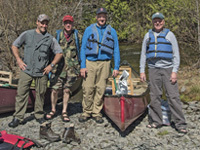 Along with great images of a ‘Once in a Lifetime Trip’ there will be lots of humor watching the four of them master the river, camping and just being on an adventure. Ken Jordan, MNEC competes in Masters Class and is on the GLPA Board of Directors as co-chair of the House Committee responsible for the maintenance and upkeep of the club. He also runs Charlie’s Raffle each week and always has some humorous remark to make. Peter Curcis, MNEC also competes in Masters Class and is known for his extraordinary bird photography. He helps with the club repairs and does a lot of the setup and tear downs for special presentations. Fran MacDonald, APSA, MNEC also a Masters Class competitor, competes from Vermont where he moved to last year so we don’t get to see him much at the club. Fran is also in the NECCC Board of Directors responsible for the Courtesy Enrollments for the annual conference. John McGrath sits of the GLPA Board of Directors as an officer with the position of club treasurer which he has had for several years.